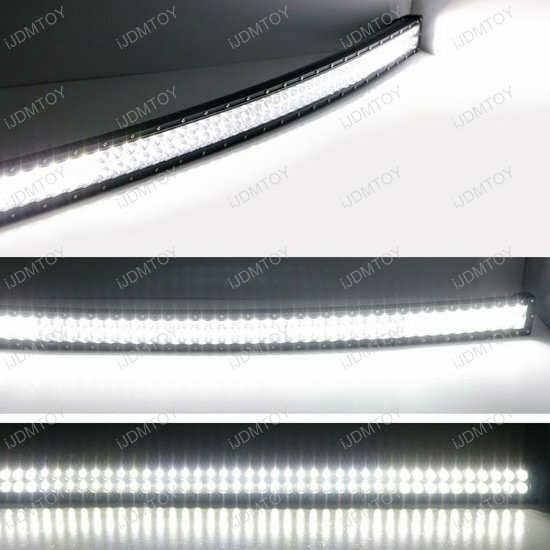 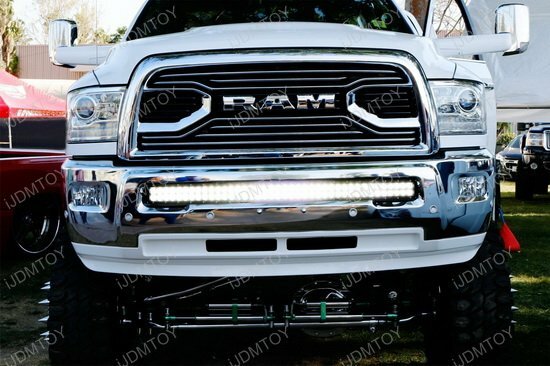 A: The 40" 240W curved LED light bar fits the 2010-2018 Dodge RAM 2500 and 3500. 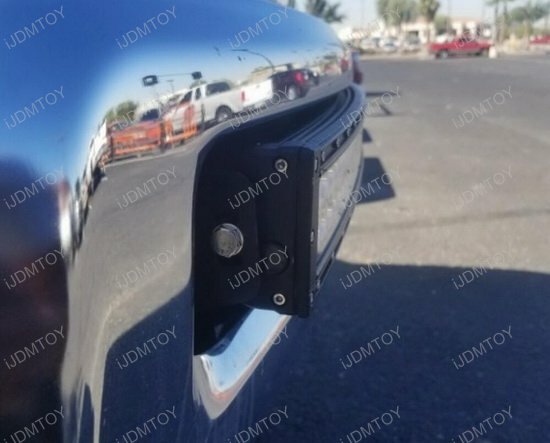 Q: Will this LED light bar fit fully inside my lower bumper opening? 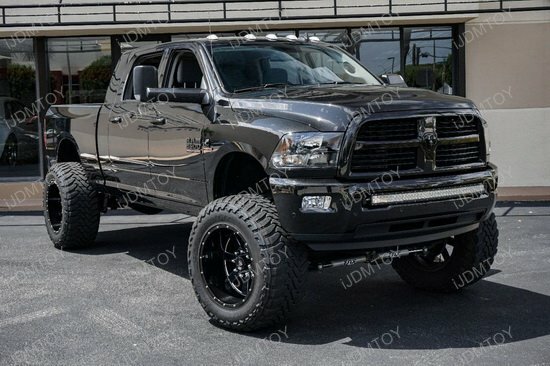 A: No, it will not. 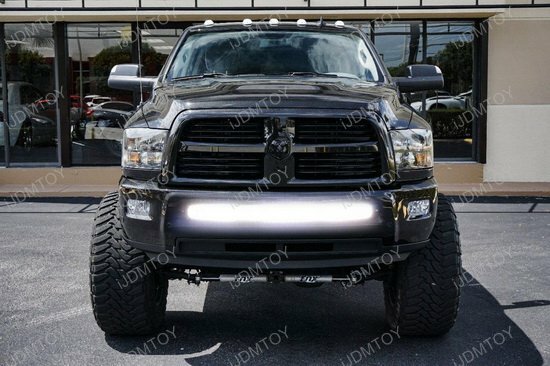 Because of the concave shape of the curved LED light bar, it will stick out of your Dodge RAM's lower bumper opening. 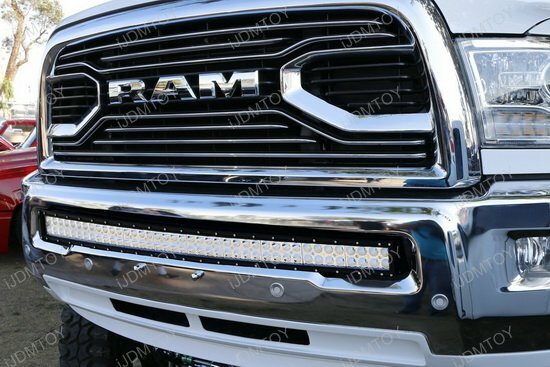 This page features a complete set of 40" curved LED light bar with mounting bracket and switch/wiring harness combo for the 2010-2018 Dodge RAM 2500 3500. 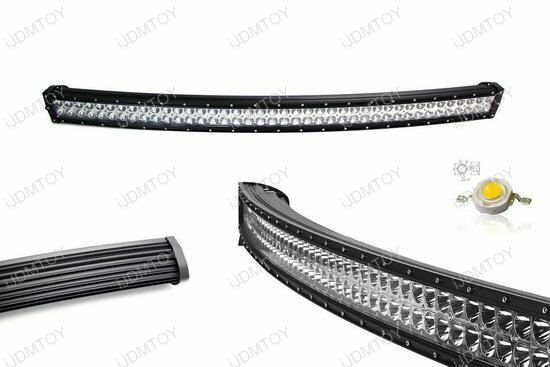 Each kit comes with one piece extremely bright 40" 240W curved double-row LED light bar (spot beam pattern) with a pair of metal constructed lower bumper grille mounting brackets and on/off switch wirings.